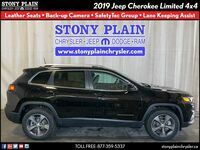 The 2018 Jeep Cherokee in Stony Plain AB brings off-road ability to the small crossover segment. 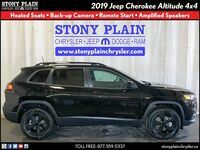 The go-anywhere ability of the Jeep brand sets the Cherokee apart in this competitive segment. 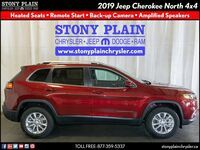 Car shoppers considering the 2018 Cherokee will be able to choose from multiple engine options and trim levels. Two engine options will be offered on the 2018 Cherokee. Standard equipment includes a 2.4-liter four-cylinder engine. This engine produces 184 horsepower and 171 pound-feet of torque. The crossover can also be equipped with a 3.2-liter V-6. This larger engine delivers the best performance numbers available on the crossover at 271 horsepower and 239 pound-feet of torque. Front-wheel drive and all-wheel drive systems are both available. Car shoppers considering the 2018 Cherokee will have five main trim levels to choose from: Latitude, Latitude Plus, Limited, Trailhawk and Overland. 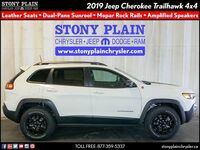 The Trailhawk trim level optimizes the Cherokee for off-road performance. This impressive trim level adds multiple features. 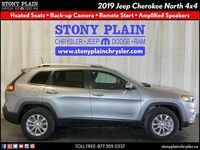 These include the Active Drive II advanced all-wheel drive system, 17-inch wheels with all-terrain tires, added ground clearance, off-road suspension system, a locking rear differential, hill ascent and descent control, skid plates and tow hooks. 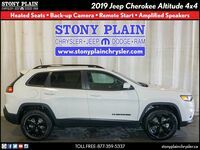 In addition to the off-road features offered on the Tailhawk model, the other Cherokee trim levels offer a variety of comfort, safety and technology features. 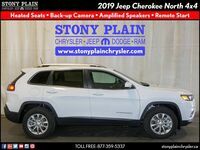 One of the key features offered on the 2018 Cherokee is the latest version of the 8.4-inch Uconnect touchscreen infotainment system. The infotainment system offers connectivity via USB and Bluetooth along with satellite radio and smartphone app integration. Other features offered on the 2018 include: a rearview camera, keyless entry and ignition, leather-wrapped steering wheel, 115-volt power outlet, push-button start, remote ignition, leather upholstery, heated front seats, heated steering wheel, dual-zone automatic climate control, blind-spot monitoring, rear cross-traffic alert, parking sensors, a power liftgate, forward collision warning with crash mitigation, radar-based cruise control, lane departure warning, blind-spot monitoring and an automatic parking system.